Safehomepage.com is considered to be a browser hijacker because it may replace your regular home page and search provider tools without much of your knowledge. Whilst in many cases the suspicious search engine might be offered to you as an optional additional, it has been revealed that it could be bundled with software secretly as well. Therefore, if you have noticed any illicit activity you should rush to delete any malicious software running on your operating Windows system. Have you discovered that it is impossible to delete safehomepage.com using regular manual removal techniques? We have found out a way to get rid of the threat and it is presented within the article. 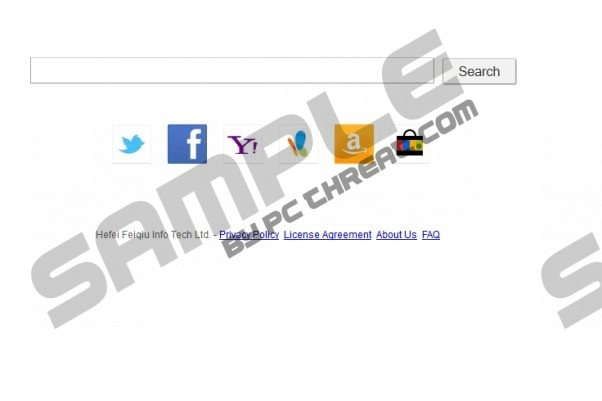 If you have heard of qvo6.com you must recognize that you should be extremely careful with this browser hijacker. Unfortunately, it appears that safehomepage.com works in the exact same manner, and so many computer users wish to remove it from their web browsers. Even though neither of these search engines is considered highly malicious it has been discovered that they may resists removal and push you into browsing through the suspicious search results. Windows security experts recommend that you remove safehomepage.com from the Google Chrome, Mozilla Firefox or Internet Explorer browsers, especially if this search engine replaced your home page and search provider settings without your notice. Your best option is to install automatic malware detection and removal software which could locate the threat and delete it for you. We recommend SpyHunter because after getting safehomepage.com deleted the tool will ensure Windows protection. Afterwards you can follow the manual steps below to change web search settings. Locate the shortcut you use to launch the affected browser and right-click it. Select Properties to access a new utility. Click the Shortcut tab and navigate to the Target. Remove the text after chrome.exe”/iexplore.exe”/firefox.exe” and click OK.
Click Settings and locate the On Startup section. Change/remove the default URL and click OK.
Click Change and then repeat step 4. Locate Search and click the Manage search engines button. Click X on the safehomepage.com URL to remove it and hit Done. Select Manage Add-ons and then click Search Providers. Choose a new default search provider and Remove the undesirable one. Click Close and tap Alt+T once more. Select Internet Options and click the General tab. Remove/change the Home Page and click OK. Launch Mozilla Firefox and locate the search box on the right. Now select the undesirable option, click Remove and hit OK. Simultaneously tap keys Alt+T (on keyboard). Click Options from the appeared menu. Now click the General tab, change/remove the Home Page and click OK.
Quick & tested solution for safehomepage.com removal. Your directions seem pretty simple and I am anxious to try them out. Hope it works. Why can't they hunt these culprits down and fine them for doing this? Thanks for your helpful information. Have done all of these instructions, am still infected with safehomepage, no idea where to go from here. Those still stuck with safehomepage may try a system recovery, to restore the computer back to an earlier point before infection. Formatting is of course a completely different animal. Worked to perfection. After restart, the only we had to do was to reset our homepage but all problems connected to safe homepage etc. was resolved. Did not expect that. Kewl!